Exercise is good for your body and mind. Everyone should lift weights and break a sweat on a regular basis. But the majority of gym members procrastinate and skip their workouts, sooner or later, because they lack motivation and – more importantly – intention. 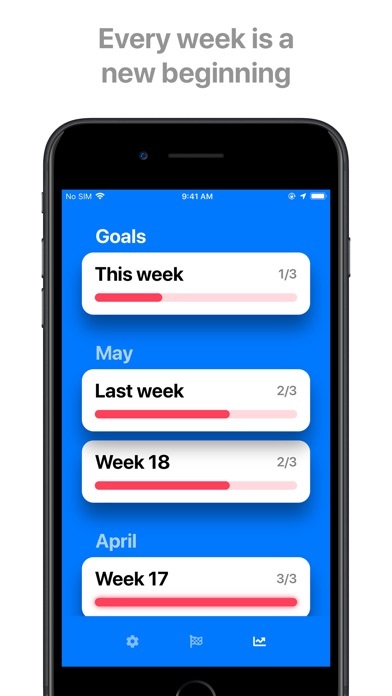 Hit The Gym is a gym planner, reminder and motivator designed to reduce exercise procrastination and to ultimately increase your well-being, your mental health and your strength by working out on a regular basis – week over week. Better not plan too many workouts for your week if you tend to procrastinate. Instead, exercise less frequently, but regularly. In example, two workouts per week are great – if you stick to them. 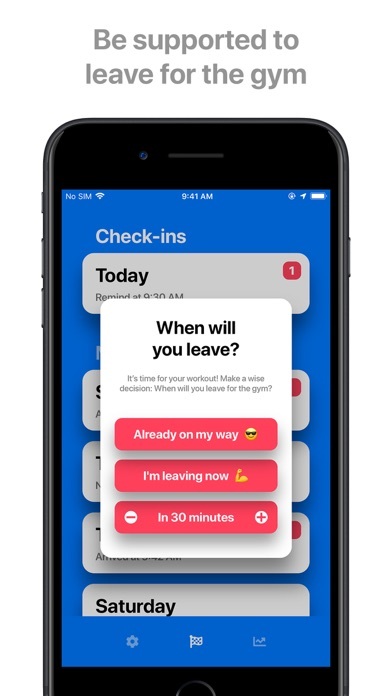 At the time of your reminder, you will be asked when you want to leave, in case you have not yet checked in. You can check in as soon as a day has started. In order to check in, you just have to open Hit The Gym once you have arrived. When visiting the gym for the first time, your streak will start. The aim is to then maintain and extend your streak as long as possible. Streaks will be reset to 0 if you fail to arrive at the gym by the end of a day. At the end of each week you will be automatically notified to confirm your workouts for the coming week. And if you shouldn’t be able to make it to the gym once – as everyone else – do not let that be the beginning of the end, just move on to your next workout. 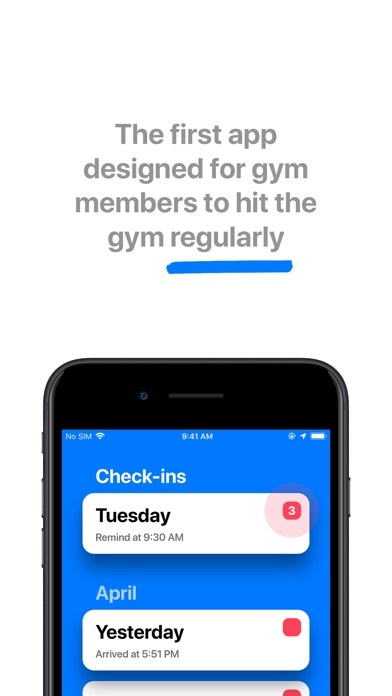 Hit The Gym will regularly be improved and updated. 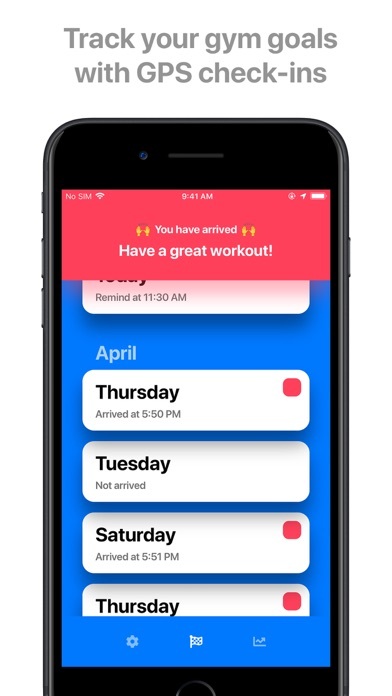 There are many new and exciting features planned for the future, all of them supporting the mission of reducing your workout procrastination and using the gym membership you are paying for. Thank you for your interest in Hit The Gym! It would mean a lot to us to get a review from you. 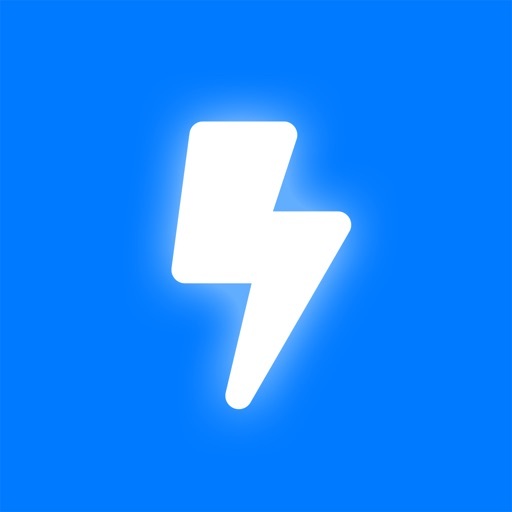 Contact us anytime if you have questions, feedback or ideas how to improve the app for you. Become a Hit The Gym user now and increase the number of your workouts. No subscription – one purchase, all features, all updates.